If you’re new to All Pets Veterinary Hospital, we’d like to welcome you to your practice! We know you probably have some questions about what to expect at your first visit and about our policies. That’s why we’ve created the following list of FAQs. If you have a question that’s not addressed on this page or elsewhere on our site, call us at 603-882-0494, and we’ll be happy to help you. Please call our hospital at least 24 hours prior to your scheduled appointment time if you need to cancel your pet’s visit. We do accept all pet insurance and work with several companies in particular, including Trupanion, Embrace, Nationwide, and ASPCA. Trupanion offers upfront payment with little out of pocket expense (Trupanion Express). It also allows you to pay only the deductible and co-pay in many cases. We accept cash, credit, CareCredit, Trupanion Express pet insurance, and many other forms of insurance. What Is Your Payment Policy for Routine Care? Payment for routine services, including wellness exams, vaccinations, routine laboratory tests, X-rays, prescriptions, food, and pet supplies, is due in full at the time these services are rendered. Why Does Veterinary Care Cost What It Costs? 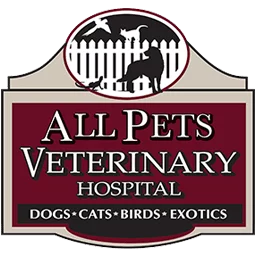 At All Pets Veterinary Hospital, we’re passionate about what we do, and we strive to provide only high-quality, affordable care. Our facility is equipped with a state-of-the-art laboratory, radiology, and surgical equipment, and we offer the highest quality medical supplies available in the veterinary industry. With these advanced services, veterinary care can become costly, but rest assured, we provide itemized treatment plans so you’ll know the exact cost of your pet’s service in advance. What Is Your Payment Policy for Surgical and Non-Routine Care? We’ll do our best to provide you with a treatment plan for your pet’s surgery or other non-routine care so you can be more financially prepared. Keep in mind, however, that a treatment plan is not guaranteed to be the final price; expenses may be more or less than estimated. Surgeries and dental procedures can be expensive, especially when they’re unexpected. That’s why our policy is to collect 50% of the treatment plan cost at the time your pet is dropped off. The remainder of the balance will be due in full when you pick up your pet. Because emergencies are often unexpected, we recommend that you have pet health insurance and/or CareCredit. We’ll work with you and your pet insurance company so that if an emergency does arise, the transaction process can go smoothly, and we can provide the best possible care for your companion. Due to recent unfortunate circumstances, we currently accept only cash, credit, and CareCredit for new clients. Checks are only accepted from long-standing clients. We apologize for any inconvenience this may cause. Where Can I Read More About Pet Health Topics? Where Can I Find Pet Rescue and Adoption Information?